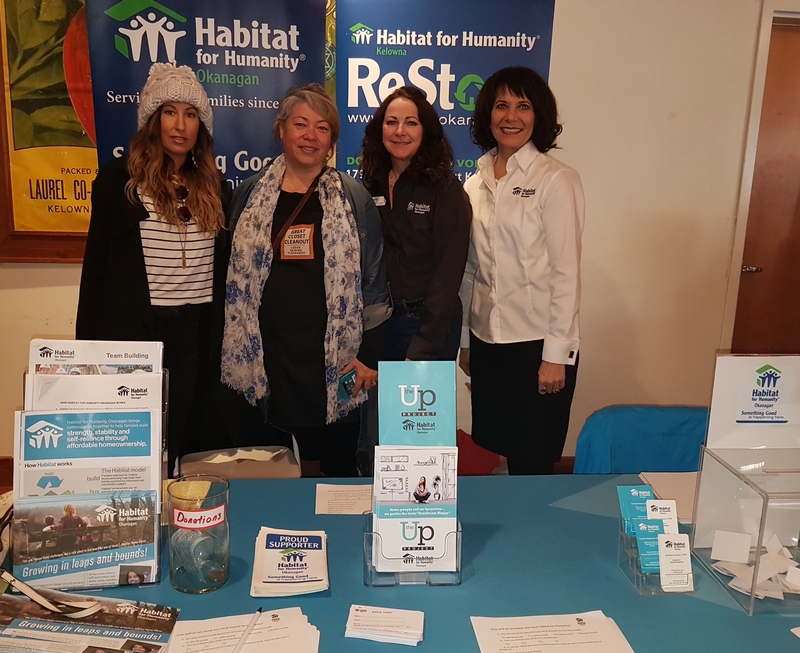 Thanks to Rosanne Ting-Mak Brown of RedScope Media and Events for choosing Habitat for Humanity Okanagan as the ‘Charity of Choice’ for the Home Decor Closet Cleanout at Laurel Packing House. Habitat staff and volunteers connected with lots of people interested in supporting the cause. Awesome! $447 of proceeds from the event was donated to HFHO along with three large bins of home decor items were donated after the event to be sold at our ReStore at the West Kelowna location.